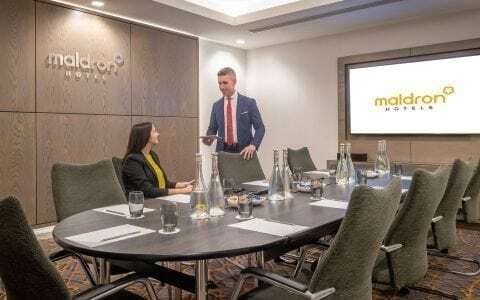 Maldron Hotel Galway, Sandy Road provides newly refurbished state of the art meeting rooms in Galway in our brand-new extension of the hotel. We promise you fully equipped conference facilities in an oasis of calm, ideally located in Galway city. The Kirwan meeting room is our most intimate meeting room located in Galway. Situated on the ground floor in the new extension of the hotel, this boardroom has been designed with a new contemporary and modern design. This unique and stunning room is ideal for board meetings or interviews. The Kirwan Boardroom is designed around modern business, with all the latest audio and internet technology. The Skerritt meeting room is another one of our smaller meeting rooms and is ideal for smaller boardroom meetings or interviews. 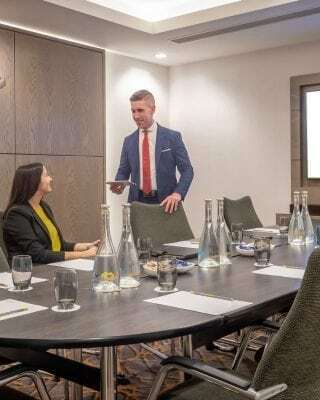 Located of the ground floor in the new extension of our centrally located hotel in Galway, the meeting room provides first class facilities ensuring that your meeting goes off without a glitch! Our Darcy and Blake Suites are our largest and most versatile suits. Both suites can be split into two with state of the art vacuum dividers that eliminates the noise for the other half of the suite. Both of the conference rooms can easily accommodate up to 130 delegates in a theatre style. The unique design means it can also be divided into two rooms, giving you freedom and flexibility to configure it to your exact requirements. Each room can cater for up to 50 delegates. For catering and refreshments during your event we offer a diverse range of menus to ensure every detail of your meeting runs just as you want it. Each of our menus are expertly crafted whether you want a business breakfast, a working lunch, buffet, canapes, sharing plates or a sit-down dinner. 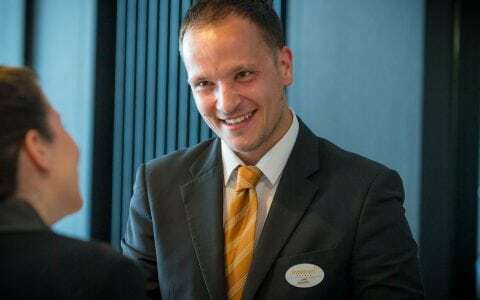 Our dedicated event planner will work closely with you to ensure your event is a highly enjoyable experience for both you and your guests. Our conference facilities are furnished with all the modern technology, wireless broadband and in room-controlled air conditioning. 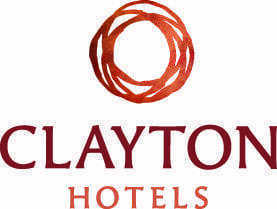 To book a conference room in Galway, contact our conference team at +353 (0)91 513223, email [email protected] or fill out the contact form below.